Welcome back nomads to another edition of Nomadwords: Famous Nomads of History. Today we will be returning to the far east, to take a look at the life of Xuanzang. So where we last left off, Xuanzang had made it to India. Now, walking across all of China might have been enough for most people, but Xuanzang’s journey was only half done. His first couple stops were less than encouraging. Buddhism was on the decline in the region. Xuanzang found it harder and harder to locate his fellow monks. He did, however, discover stupas (Buddhist shrines) that would be lost to history until 1908. Thankfully, due to Xuanzangs detailed accounts, archaeologists were able to find these structures hidden through the Khyber Pass and the Hindu Kush. He made his way through the Swat Valley, then the Buner Valley, before having to double back through the Shahbaz Garhi to cross the Indus River. The deeper he went into India, the more he found Buddhism on the decline. Massive monasteries and flourishing communities had been all but abandoned. It wasn’t until Xuanzang made it into Kashmir in 636 did he find some encouragement. Now he was in the center of Buddhist Culture, surrounded by 100 monasteries, and 10,000 monks. A welcomed sight to be sure. Xuanzang arrived just in time to cover the 4th Buddhist Council providing us with yet another primary source of ancient history. Once the convention was over, Xuanzang decided it was time to split. He had one more goal in mind. The granddaddy of all pilgrimages for a Buddhist. It was time to go Lumbini, the birthplace of Buddha himself. Weirdly enough, the closer he got to Buddha’s birthplace, the more abandoned monasteries he found. Xuanzang made it to Lumbini, and almost just as fast as he decided to get there, he decided to leave. There was only one logical place to go, Kushinagara, the place of Buddha’s death. Luckily, this one was only a 26 hour/ 134 KM walk. After everything Xuanzang went through, this probably felt like a morning jog. Getting back to China’s capital, however, would involve another 7,561-mile walk. Just casually walking a would be 17-hour flight to get home, no biggie. In 645 on the 7th day of the first month, Xuanzang made it back to China’s capital, 16 years after he left. When he got home, there was a massive procession waiting to celebrate his journey. He was even invited by Emperor Taizong of Tang for multiple audiences. Get this, after all that, after all the journies, and fame he had garnered, Xuanzang refused it all, and instead decided to retire to a quiet monastery. He studied Buddhist texts until his death 14 years later. He returned to China with over 600 Buddhist texts, seven statues, and 100 relics. Not a bad haul. 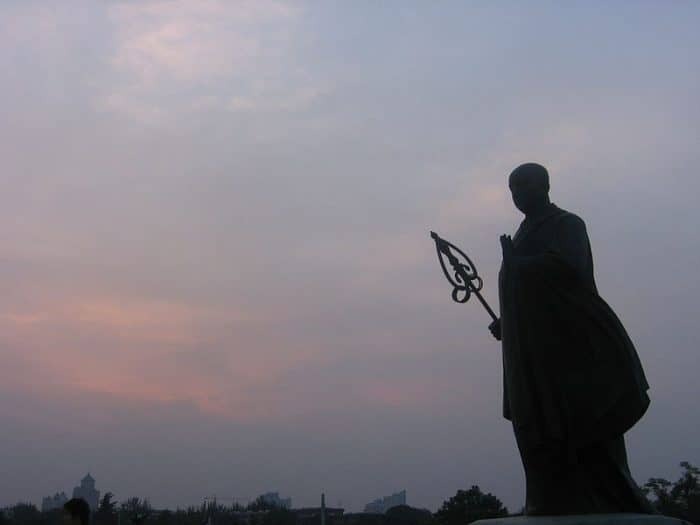 What Can We Learn From Xuanzang? 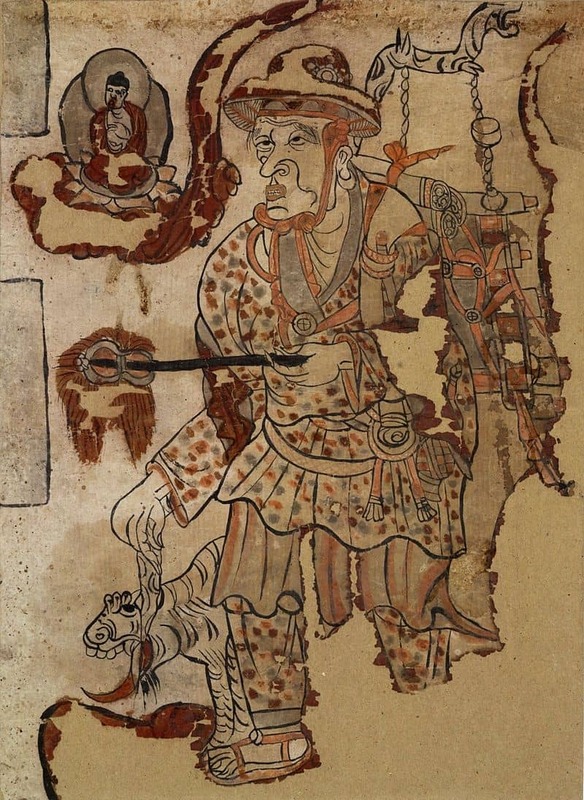 So, my modern Nomads, what can we learn from Xuanzang? Well, I’m just going to go ahead and say I don’t think I’ve ever liked anything as much as Xuanzang loved Buddhism, but that kind of passion is infectious isn’t it? Xuanzang faced a ton of distractions but never lost sight of his goal. No matter where he ended up, he didn’t falter, waiver, or deviate from the plan. So much so that even when he had to double back and retrace his steps, he didn’t compromise or cheat himself. Approach your careers the same way! Get your long term goal (ending up where Buddha died) but make sure to give yourself enough short term goals to reach while you push yourself. If you hit a wall, don’t just change your final goal, you’ll end up feeling like you cheated yourself! Instead, double back, reassess, and come back at that final goal stronger than you did before. Then, when you achieve it, and the entire world wants to throw you a party, you can decide if you want to be the guest of honor, or just skip it. Either way, nomads remember more often than not, it’s a marathon, not a sprint. No steps are wasted as long as you learn something from every mile you travel!